Motors and drives, ubiquitous in industrial settings, can and do fail. To prolong motor life and save energy, five tests or inspections are frequently recommended: thermal, vibration, shaft alignment, insulation resistance and electrical measurements. 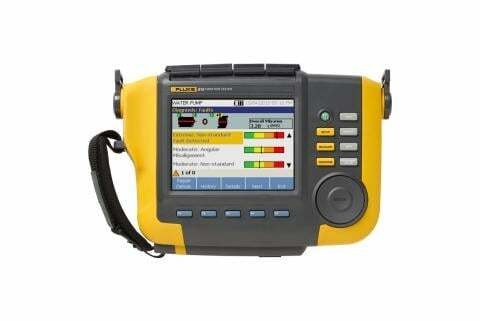 All are fairly quick and easy to complete using handheld tools and the tests tell you a lot about system performance. In addition, new wireless tools enable you to centrally capture, store and save data about the equipment in real-time or over time, including when the equipment is operational. With wireless meters, shut the system down, lock out, hook up a meter, close the panel door, re-engage, and start monitoring measurements. 1. 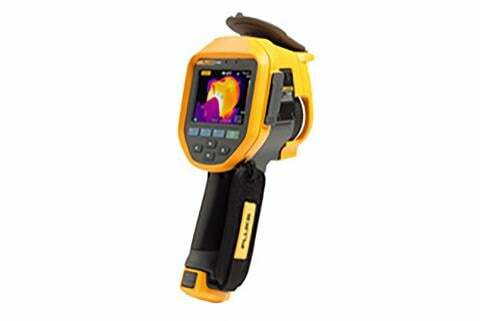 Thermal inspection of the electrical and mechanical motor components with an infrared camera or infrared thermometer. High temperatures alone don't necessarily signal a problem, but a component with a higher temperature than similar components, or a rise in temperature, might mean something is amiss. 2. Vibration analysis with the Fluke 810 Handheld Vibration Tester, can detect unbalance, misalignment, roller bearing problems, and looseness. Fluke handheld vibration meters and testers carry a database of good/bad readings, dynamically compare vibration signals, and can even give you a diagnosis or a condition indication on the spot, depending on the sophistication of the tool. 3. Insulation resistance testing can enable you to get a motor back into operation the easy way, by simply replacing a cable. An insulation multimeter like the Fluke 1587 combines the function of insulation resistance testing with all of the most common digital multimeter functions. Measuring the insulation resistance of motor windings, you can detect deterioration caused by heat, age, corrosion, dirt, moisture, and excessive vibration before the motor fails. 4. Electrical current unbalance is a common root cause of motor overheating. 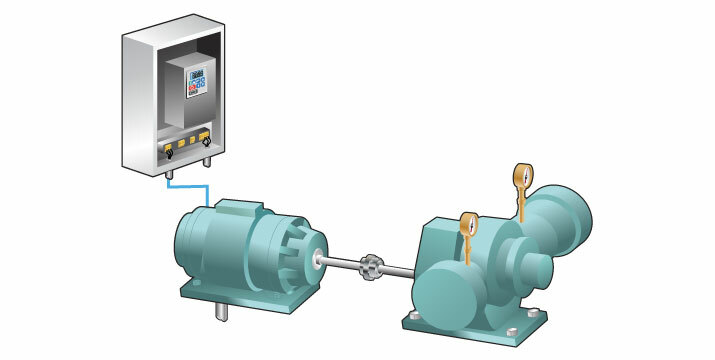 Current unbalance can be caused by several different things, including power delivery problems, low voltage on one leg, or insulation resistance breakdown inside the motor windings. 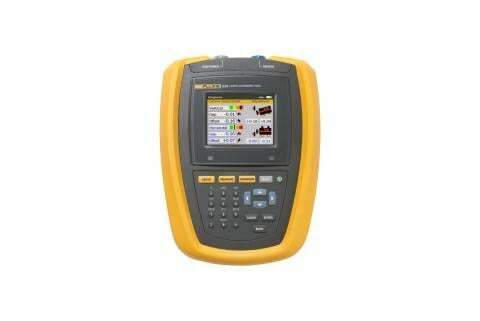 An instrument such as the Fluke 435-II Three-Phase Power Quality Analyzer can check all three legs of a three-phase system at the same time, and can detect transient voltage as well. An ac current clamp meter can also check the current draw on each of the three legs. 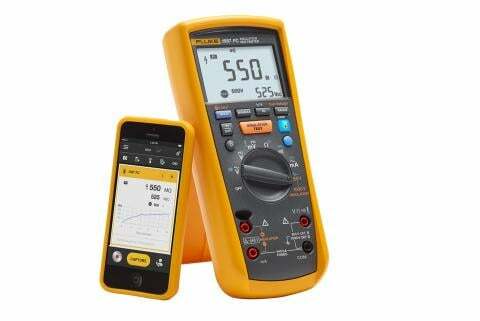 With the Fluke ac3000FC and a Fluke Connect application readings can even be taken while the machine is in operation and the measurements can be easily saved and shared using a smart phone. 5. Shaft misalignment can mean thousands of dollars lost per year in replacement bearings, repair time and unplanned downtown, not counting the years off the machine’s useful life. The Fluke 830 Laser Shaft Alignment tool gives fast, accurate and actionable answers--and real-time feedback to quickly align a shaft.